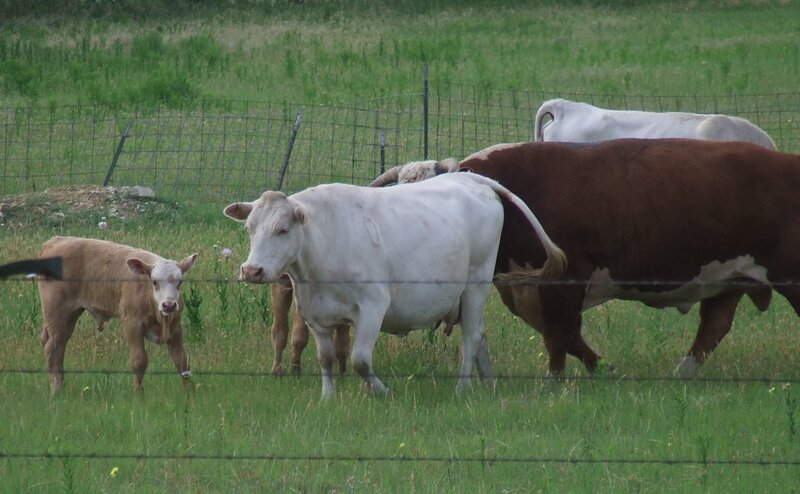 Yesterday, I was telling you about cute calves…I’ve watched these since they were first born…all carmel colored with white faces. As you can see, they have a very protective Mom. I snapped this photo then she stepped in front of the calf. The second calf is already behind her, so I never got a clear shot. This was taken from across the road out my car window….and even as far away as I was, they were ready to fend me off.